ELEX Review | Nerd Much? 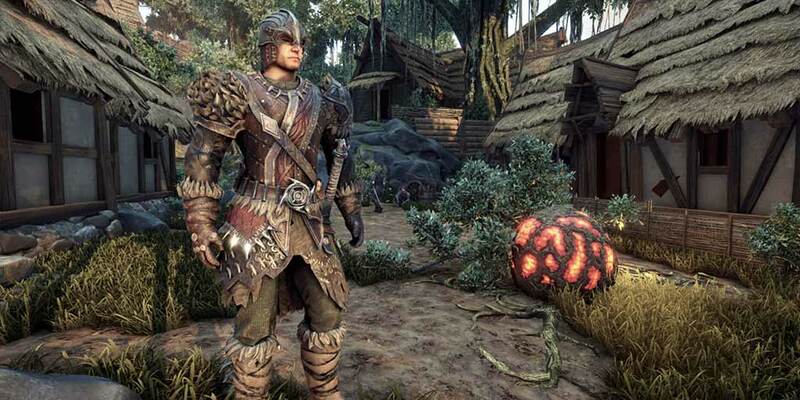 At face value, ELEX, Piranha Bytes’ new RPG appeared to be worth our attention. Since its announcement, it felt like a sort of Skyrim meets Mass Effect, or a sci-fi-skinned Skyrim. The story seemed intriguing and the trailers looked good-enough to capture our intrigue, and its promise of a massive open world filled with an insane amount of weapons to play with made it a worthy prospect for our October time (of course, before we get our hands on Super Mario Odyssey and Assassin’s Creed: Origins in a couple of weeks). 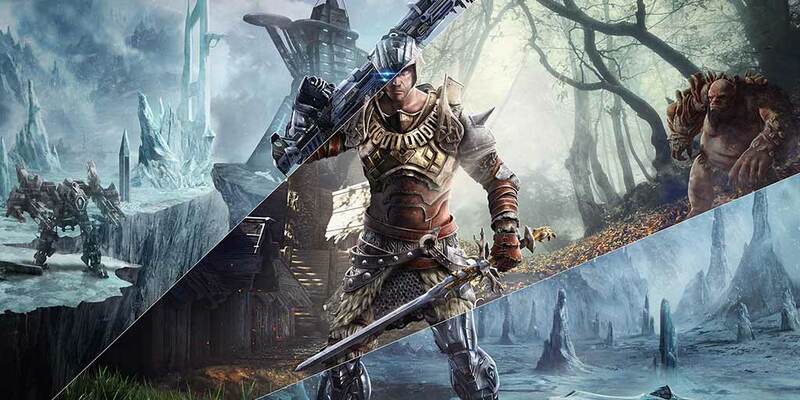 But is ELEX worth your time? 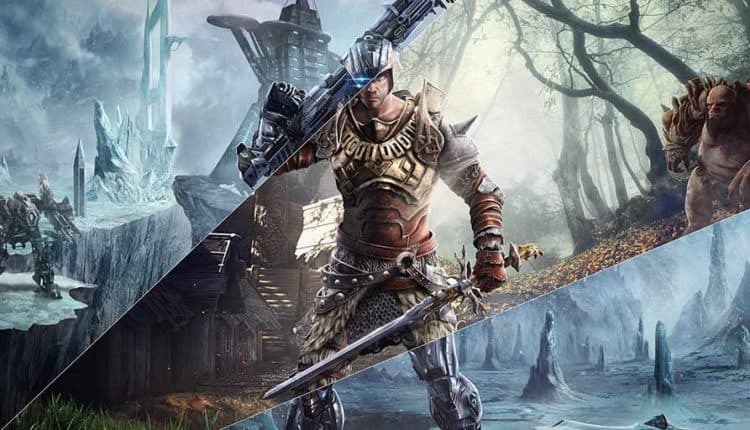 Generally speaking, everything about ELEX is a mixed bag. It’s undeniably filled with some major frustrations, but there are also a few highlights as well, albeit very few. First, the bad. 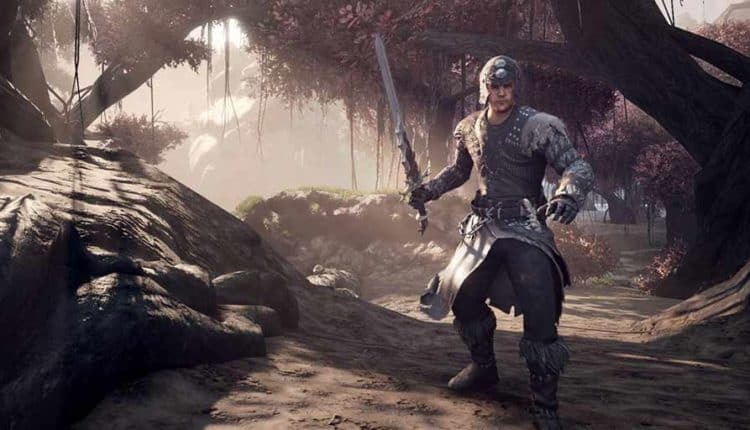 The biggest flaw of ELEX is that the characters all feel dull and lifeless. Even your player character lacks any sort of a unique personality. Everything from the terrible (and I do mean terrible) voice acting to the poorly-written dialogue to the generic attitudes of all of the characters you’ll encounter in the earlier moments all contribute to its depressing lack of unique NPCs. Each character feels cliché, and they lack the nuances we’ve come to expect, thanks to the many other great RPGs of 2017. I’ll also note that you’re not able to customize your character’s appearance. There are stats and skills you’re able to throw points in as you level up, and you’ll get new weapons and armor, but nothing along the lines of tweaking physical appearance. 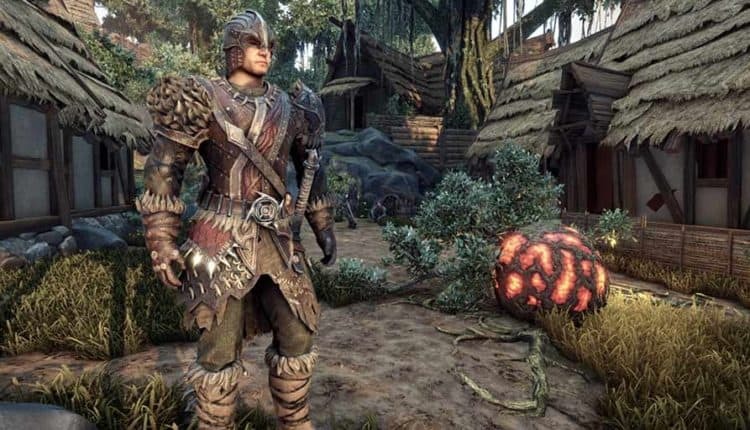 Secondly, ELEX’s presentation feels like something out of the early Xbox 360-era. There are some truly baffling low-quality visuals that I can’t believe made it into the final product, including polygonal smoke rendering and muddy textures. Framerates also drop, on the PS4 Pro at least, and it mostly hovers around 30fps, with occasional bumps to as high as 60, and, at times, dips as low as 18fps. The unlocked framerate was clearly a poor design choice. The fluctuation is especially frustrating because you have no margin for error when it comes to timing during combat, so you can expect to take some punishment from enemies through no fault of your own because of the screen stutters. As far as combat is concerned, it’s slow and clunky, and you’ll find yourself keeping a close eye on the stamina bar so that you can even swing your weapon. That stamina bar burns quickly, and even on the game’s easiest difficulty setting, I had a hard time taking down even the weakest enemies. It became such an annoyance that I found myself trying to avoid combat altogether at times because I just wanted to get to my objective without having to restart. Trying to get from point A to point B for your objective also feels more like a chore than it should be. Objectives tend to be spread out with great distances between them, and you’ll encounter many creatures and enemies while simply trying to travel to your destination. Sure, some trouble along the way is to be expected in an RPG, but when the combat feels like it does and the presentation feels like it does, and you’re doing everything on foot, taking a look at your map to see your quest objective far away will make you want to just put your controller down for good. 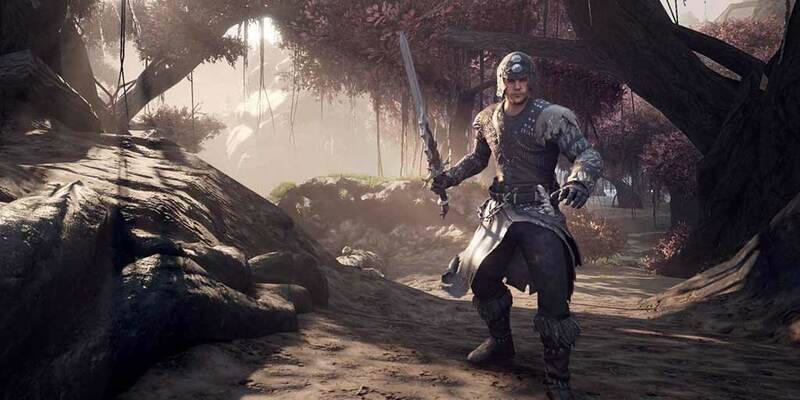 But it’s not ALL doom and gloom for ELEX, as it does have some bright spots. First and foremost, at its core, it’s a great story that would translate especially well to a TV series. While its characters lack any sort of significance or memorability, the story will hold your attention. Whether you find yourself on the side that renounces modern technology like The Berserkers, relating to The Clerics whom are fueled by their religion, or the Outlaws who operate by any means necessary, you’ll eventually choose to join one of these factions you relate to. This decision mostly influences what sort of weaponry you’ll be using as you continue your journey, so your best bet is to figure out which is closest to your typical play style. Some other things on the plus side include the jetpack (which will help you traverse steep cliffs and other natural barriers you encounter when trucking to missions objectives) and the setting (which feels like a mix of Fallout, Skyrim, and Dragon Age: Inquisition. It’s hard to recommend ELEX at this point, though. With each character lacking personality, the game world being ordinary, and the gameplay not bringing anything new to the table, the game is unable to find its own identity, feeling like an amalgamation of the genres most mediocre aspects instead of something fresh. Remember Two Worlds? The Xbox 360/PS3-era RPG that made a lot of promises it didn’t quite live up to? That’s exactly where ELEX falls; there’s a very small glimmer of goodness contained within, but finding it feels like a chore. Not only does it get off to an incredibly snail-like, slow start, but it also never picks up enough to give the player any sort of payoff. It’s far from a cohesive offering, but if you can get past the jank and can appreciate a good story, and maybe catch it on sale somewhere, it might be worth your time.